This coming September, GSC Movies is bringing you a movie titled as “A Walk Among The Tombstones” featuring Liam Neeson as the main cast! 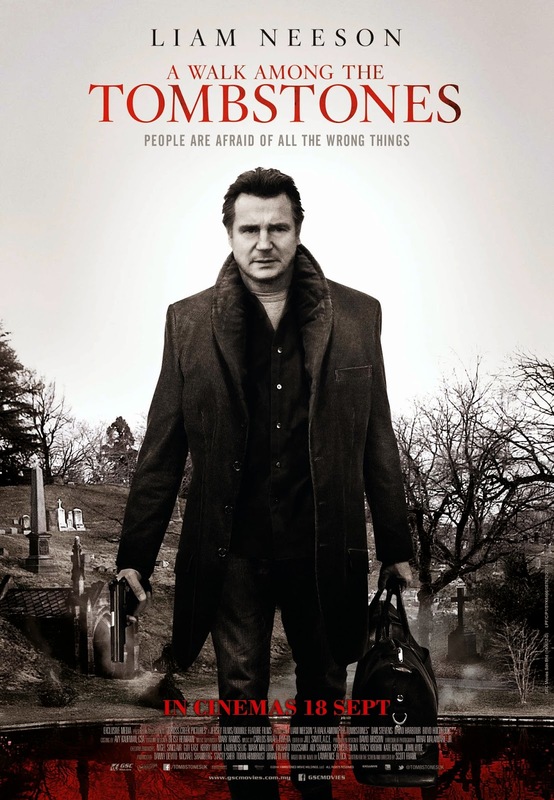 A Walk Among The Tombstones is based on Lawrence Block’s bestselling series of mystery novels, casts Liam Neeson as Matt Scudder, an ex-NYPD cop who is now working as an unlicensed private investigator operating just outside the law. When Scudder reluctantly agrees to help a heroin trafficker (Dan Stevens) hunt down the men who kidnapped and then brutally murdered his wife, the PI learns that this is not the first time these men have committed this sort of twisted crime…nor will it be the last. Blurring the lines between right and wrong, Scudder races to track down the deviants through the backstreets of New York City before they kill again.